Feel free to connect all your devices, just like at home. FRORIDE MIFI will provide you with wireless internet access anywhere in the Holy Land, it's safe, personal and fits in your pocket. We offer you a tiny but powerfull high speed portable hotspot that will get you online with just 5 seconds to start up. 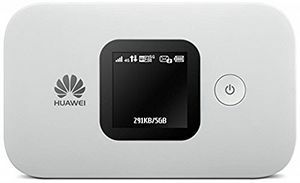 The Huawei E5577Cs-321 Mobile WiFi has a 4G connectivity that will get you up to 150Mbps download speed. It can also connect to a Wi-Fi and support MicroSD Cards up to 32GB for sharing files on your network. With his LCD Screen you will be able to know the remaining battery percentage, it also supports multiple languages. Simply select your travel dates in Israel, choose your MiFi rental and select your favorite Pickup point. By renting FRORIDE Mifi Device for Israel, you Enjoy High Speed internet connection for all your Wi-Fi devices when you travel in Israel. Pay only once, no hidden fees and avoid expensive data roaming charges. There are no surprises with FRORIDE MiFi device.